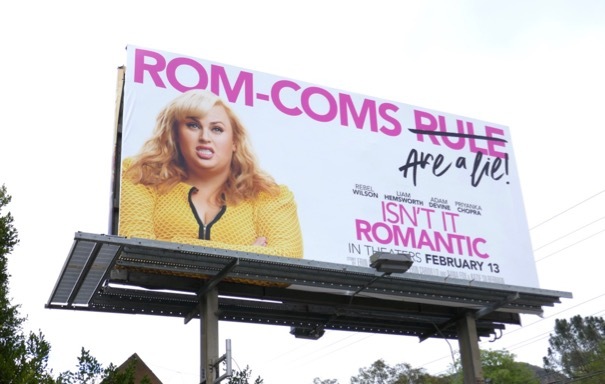 With Valentine's Day fast approaching it looks like at least one person isn't getting in the romantic spirit, Rebel Wilson as the disenchanted by love New Yorker 'Natalie'. 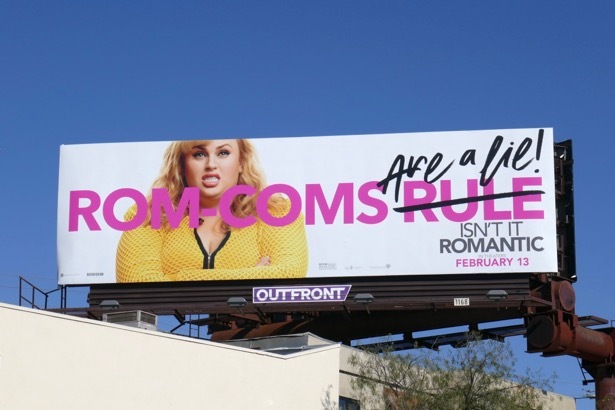 The Australian actress stars in the comedy Isn't It Romantic and finds herself living in a rom-com world after bumping her head after a mugging on the New York subway. 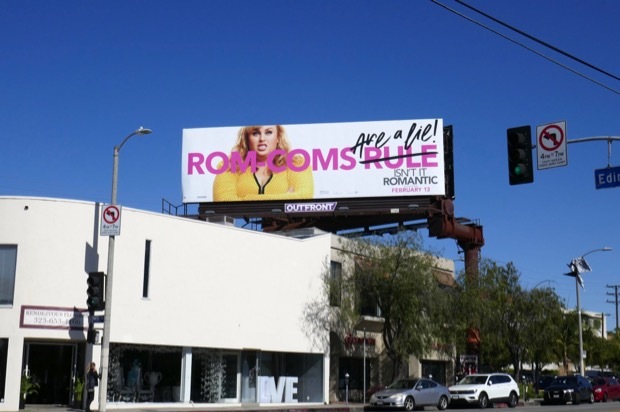 Normally struggling to get noticed in her job as an architect, in this new magical alternate world she finds herself the centre of attention as the leading lady in her own romantic comedy, complete with handsome suitors and everyday people who break into song at the drop of a hat. 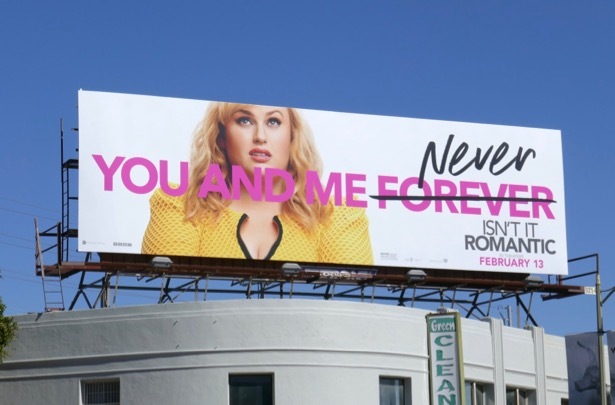 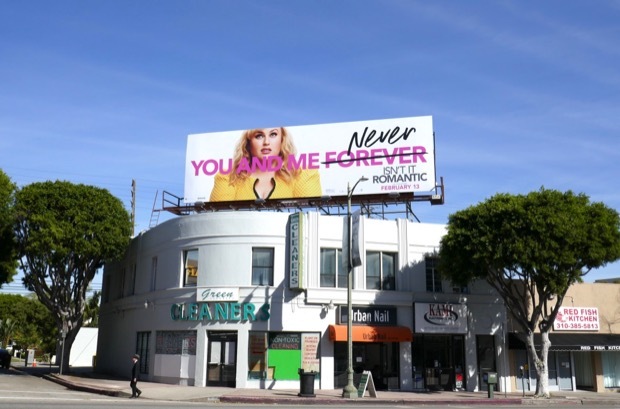 These fun movie billboards are perfect for someone cynical about love and were snapped above Westwood Boulevard, Barham Boulevard, 3rd Street and Pico Boulevard from January 26 to February 6, 2019. 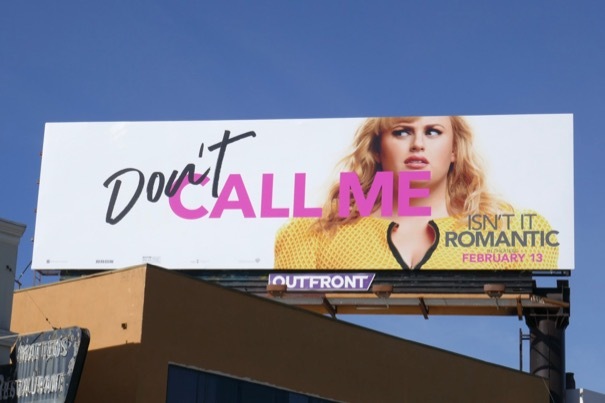 Fans of Rebel Wilson can also check out these Pitch Perfect movie billboards, this Super Fun Night TV billboard and these How to be Single movie billboards. 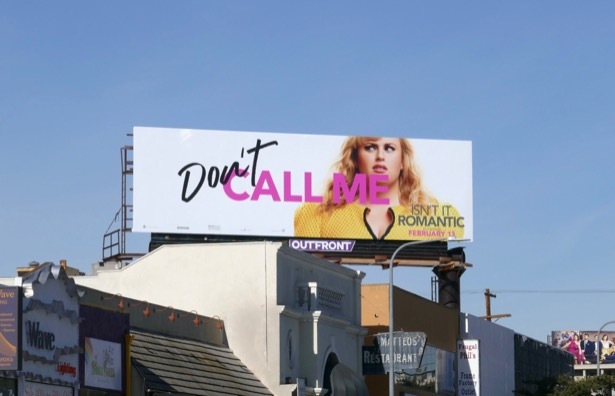 Let's see if co-stars Liam Hemsworth, Tom Ellis, Priyanka Chopra and Adam Devine can help her believe in romance and falling in love this February.